My Yarn Along projects this week aren't too different from the last few weeks. Late last night, I actually just finished the sweater pictured below. All that's needed now is to add a few buttons. 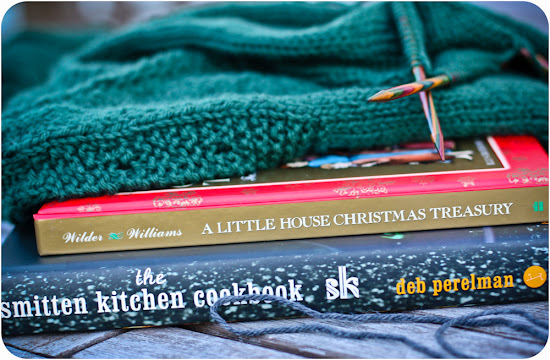 We're still working our way through A Little House Christmas Treasury. Only a few stories left! I also received an early Christmas present from the hubs. The Smitten Kitchen Cookbook! I'm enjoying leafing through and planning a few meals. 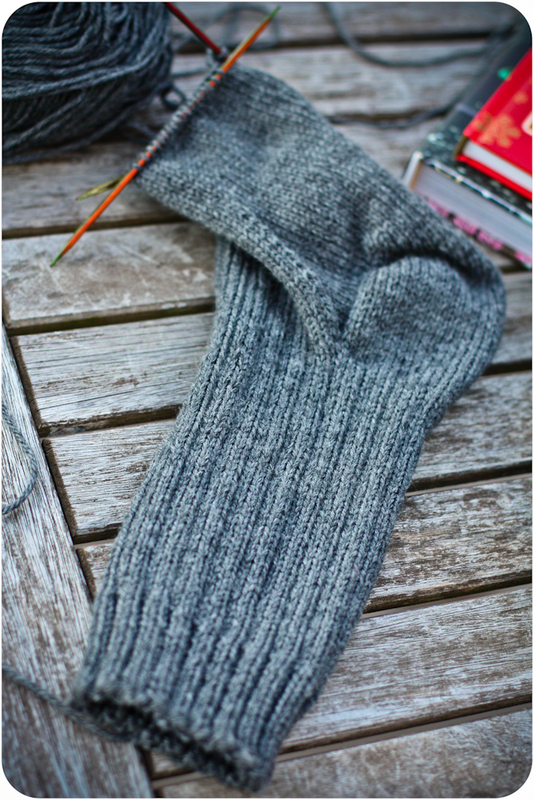 The last Christmas present that I'm working on is a pair of socks for Paul. Those large feet make the knitting slow, but I'm 3/4 done with the first sock, so I might make it. I also added a quick knit late last week and made a pair of mittens for Philip. I used the family mittens pattern from the autumn issue of Taproot. I love the texture in this quick knit. I used some City Tweed from Knit Picks leftover from a previous project. I think the subtle mossy green is a good color for Philip. 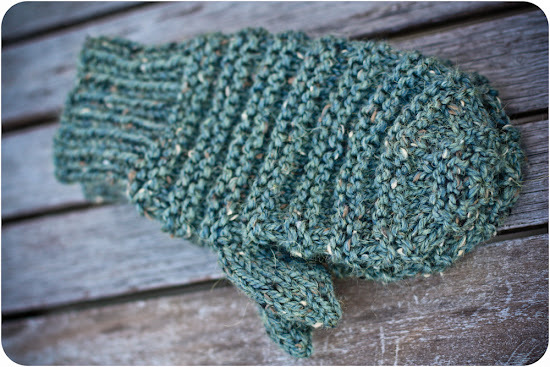 These mittens are very soft and I hope they'll service him well over the next few chilly months. Have you finished all of your Christmas crafting? love the sock color it goes with any color that you might be wearing. 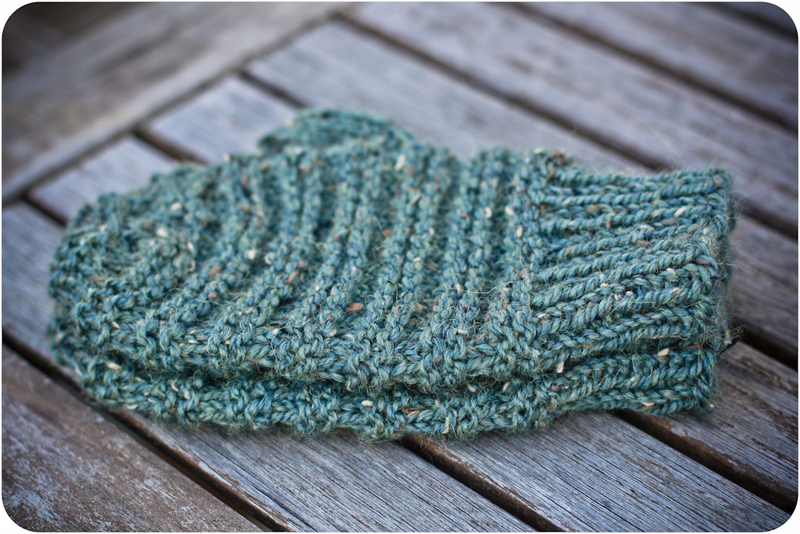 Knitting for small feet takes me forever these days..
Aren't the Taproot mitts fun to make, yours look great. aaaw hand-knitted socks are the best! I wish I had someone who would knit a pair for me...somehow, knitting socks for myself doesn't feel right.. but I might at least try. One more MUST make project to go over here. And another really should make but just might push it off for a while. Then a long winter's nap. Wow! What beautiful knitting and GREAT books!